We have a lovely store with a full mine attraction! We also have a wonderful selection of Arizona Amethyst from our own mine, located on the western slopes of the Four Peaks of the Mazatzal Mountains. This mine has been worked since the 1920’s and the finest quality stones are sought-after worldwide by collectors. 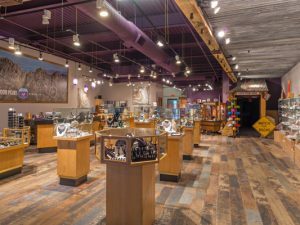 In addition to our vast selection of merchandise, we also provide a mine experience for young and old. You and the kids can take a tour through the mine and go on your own Rock Hunt! Use your miner’s helmet to explore the dark mine and find the 32 different minerals and gemstones. Fill out your card for a free gift! 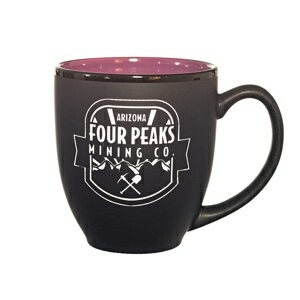 « Welcome to Four Peaks Mining Co. Store! Do you have a catalog? I would love to see more of your jewelry. Thank you for your iquiry. We do not have a catalog or online shopping cart at this time. If you are able to follow us on Facebook or Instagram, you’ll see a selection of our merchandise, especially in the photo albums on Facebook. We are also happy to help you by phone or email at info@fourpeaksminingco.com. Our store hours are 10a – 5p every day. Please don’t hesitate to reach out and let us help you find the right gifts.